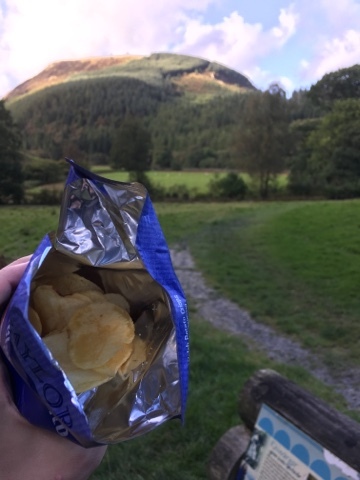 We are away this week exploring the Lake Vyrnwy area of central Wales and have been on the look out for lovely snacks. To supplement a late lunch I picked up a bag of fairly ordinary looking (but Welsh) crisps. 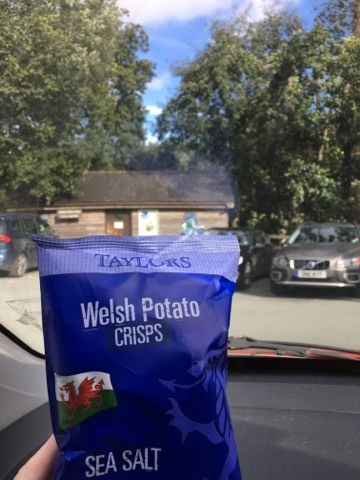 I've not seen Taylors crisps in England and they had a few varieties on offer, we ate ours on a walk around the lake to a waterfall. 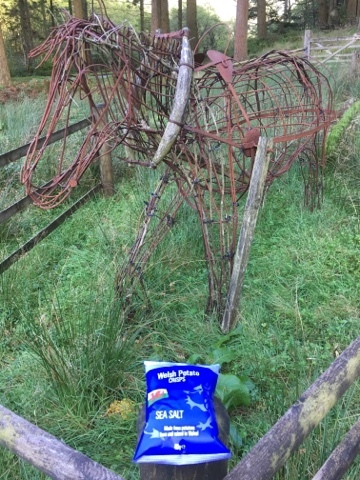 I checked with a wire horse if this was OK.
You get a decent portion (these shots always make it look skimpy) and each crisp is unique and resembles a slice of potato. Some are nearly a mm thick! 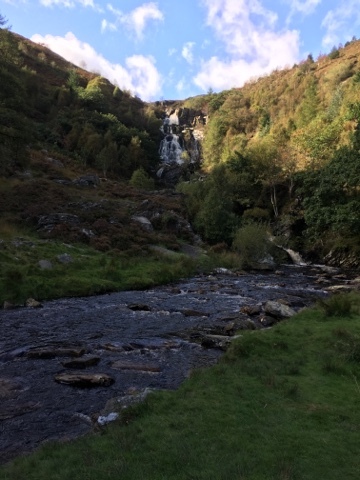 It was a nice walk but a little bit further than I anticipated so no crisps made it to the waterfall. This was purely down to their quality. They had a uniquely soft texture, much more like dried fruit crisps and on the package advertised that this dry texture was due to the slowness of the cooking process. These are certainly something that I would have again, and they do have more varieties to try. I think the main joy of these was the crisps themselves though so I'd be happy just to stick with the sea salt.